LAST DAY YOU CAN USE THE CODE. There was none available for delivery for me, so I rang up and asked if they would honor the code in store, I was told Yes, 2 hours, 2 stores, another call and a bit of and argument, and I got it in store for this price - I thought I would have been posting this about 1 1/2 hours ago! UPDATE: You can also check if the black version is available in your area. Your ignorance is hilarious. 8th gen "U" CPUs are hyperthreaded quad cores, similar to the i7-7700HQ. Not only that, but these new "U" models run with the same TDP as the old dual core "U" CPUs, meaning you get a level of performance between an i5 7300HQ and an i7-7700HQ, but with the low power consumption and heat production of a old "U" model. So you're able to have a decently power CPU that doesn't negatively affect battery drain, nor one that produces excessive heat. So there is none available for online order & delivery before midnight tonight, you have to ring your local store and haggle to use the code... and most Curry stores closed about 40 minutes before you posted the deal? Hi, the only thing I didn't like was no SSD, but for the price its great. Don't see a problem, £75 for an SSD, Job done. Spec looks good, 1080p screen which is the important thing. 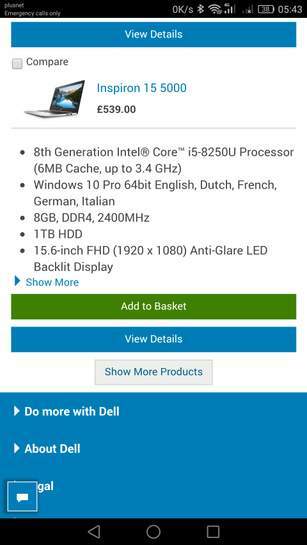 Excellent - i5-8250U Processor - absolute bargain! 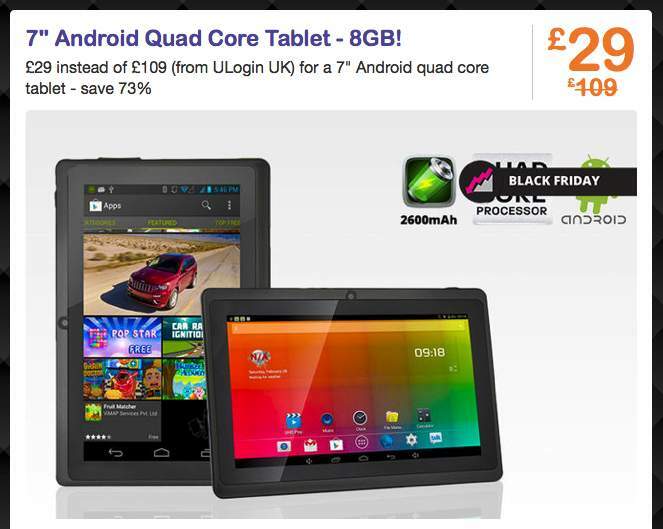 50 quid topcashback on this too! Definitely HOT HOT HOT! It's only a 'U' processor, I think the main thing anyone is getting excited about here is it's an 8XXX, the rest of the laptop is so-so for the price. Definitely a hot deal. But no graphics chip to use that full hd screen so no gaming or heavy graphical stuff. But for an everyday laptop this is probably peak. It's only a 'U' processor, I think the main thing anyone is getting …It's only a 'U' processor, I think the main thing anyone is getting excited about here is it's an 8XXX, the rest of the laptop is so-so for the price. So there is none available for online order & delivery before midnight …So there is none available for online order & delivery before midnight tonight, you have to ring your local store and haggle to use the code... and most Curry stores closed about 40 minutes before you posted the deal?What am I missing here? I have the same on the white one, but there is a black one the same spec available for me. I have the same on the white one, but there is a black one the same spec …I have the same on the white one, but there is a black one the same spec available for me. CPU mark 7597 so not bad. Don't see a problem, £75 for an SSD, Job done. Spec looks good, 1080p …Don't see a problem, £75 for an SSD, Job done. Spec looks good, 1080p screen which is the important thing. Just set it up, very pleased with it. Your ignorance is hilarious. 8th gen "U" CPUs are hyperthreaded quad …Your ignorance is hilarious. 8th gen "U" CPUs are hyperthreaded quad cores, similar to the i7-7700HQ. Not only that, but these new "U" models run with the same TDP as the old dual core "U" CPUs, meaning you get a level of performance between an i5 7300HQ and an i7-7700HQ, but with the low power consumption and heat production of a old "U" model. So you're able to have a decently power CPU that doesn't negatively affect battery drain, nor one that produces excessive heat. 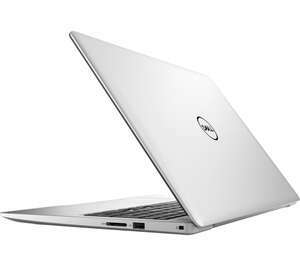 Through here recently for £499, so hope you are pleased with this more expensive laptop, all because it has an '8th gen' (1.6ghz). All as I was saying is I don't think this was especially cheap, similar spec with a 7th gen CPU would be £300-£350ish. I didn't keep it BTW, I use Macs, not a fan of Windows machines. How do you know whether you can update the HDD to SDD? Nice spec and great price if you want the latest and greatest. It's not the 256gb SSD/full HD/8GB ram/7th gen CPU bargain lots of people are holding out for though. Nothing over Black Friday/Cyber Monday ticked all the boxes for me, so hopefully something will crop up before Christmas. It's all well and good agreeing with 'numbers man', but I recently bought …It's all well and good agreeing with 'numbers man', but I recently bought the HP;i5-7300HQ 2.5ghz8gb RAM1TB HDD128GB M2 SSDGTX1050Full HDBacklit keyboardB&O AudioThrough here recently for £499, so hope you are pleased with this more expensive laptop, all because it has an '8th gen' (1.6ghz).All as I was saying is I don't think this was especially cheap, similar spec with a 7th gen CPU would be £300-£350ish.I didn't keep it BTW, I use Macs, not a fan of Windows machines. Nice spec and great price if you want the latest and greatest. It's not …Nice spec and great price if you want the latest and greatest. It's not the 256gb SSD/full HD/8GB ram/7th gen CPU bargain lots of people are holding out for though. Nothing over Black Friday/Cyber Monday ticked all the boxes for me, so hopefully something will crop up before Christmas. Totally agree! - I went for this because it was, in my humble opinion, the best deal I could see/find (for what I wanted) - I just wish it hadn't taken so long to get it sorted as I would have posted it a lot earlier and maybe a few more people could have benefited from the in store deal, if they couldn't get it online. All as I was saying is I don't think this was especially cheap, similar …All as I was saying is I don't think this was especially cheap, similar spec with a 7th gen CPU would be £300-£350ish. And anyone who knows anything about Intel CPU's knows that an 8th Gen inter league cpu is not disappointing at all!! And just because you managed to get that one off deal that invalidates any deal in the future because you're going to dredge up your historic deal? Unless it's currently available it's history and means nothing. Fact is there's NOTHING in this price bracket can touch an 8th Gen CPU, nothing and I'd go so far as to say the 8250u blows the 7300HQ out of the water AND it's more power efficient too. As long as you can get to the drive, you can. That was a great deal for £499. Would love to have got that. Yeah guys if I were to purchase a SSD for this would I have to buy a copy of Windows too it how would this work? Thanks in advance. Yeah guys if I were to purchase a SSD for this would I have to buy a copy …Yeah guys if I were to purchase a SSD for this would I have to buy a copy of Windows too it how would this work? Thanks in advance. No you could use the key that's already on it. For the non technical (can't use a screwdriver) this might be a problem. For everyone else this is a good deal. "I didn't keep it BTW, I use Macs, not a fan of Windows machines."